If I had a long lost Brazilian sister, it might just be Milene Couto! I had the pleasure of chatting with her over lunch and hearing about so many of her passions and interests we have in common. Just like the other Social Icons we feature, Milene shares the strong belief that we not only have the power to make a difference, but that we must use it. It’s a great reminder that we’re all in this together! 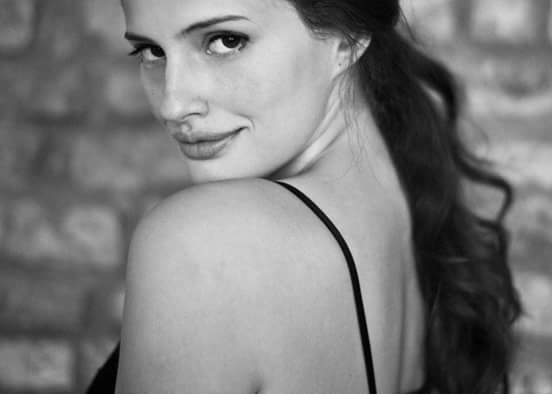 Milene is represented by Role Models Management - an ethical talent & modeling agency, as well as Wrenn Management. A: I have a lot of people that I admire very much. Natalie Portman is a women that I admire a lot. She is very smart and passionate to change things around her, and she has been inspiring to me. A: I would like to share the importance of acceptance, self love, and self knowledge to change things for the better in your life and around you. Q: You got married recently (congratulations!) and had a totally Vegan & Sustainable wedding. Can you tell us a little about planning a sustainable wedding & why it was important to you to create it? Thank you! It was a very special day: the wedding happened in the middle of nature, all barefoot, and my family and closest friends made the decorations. It was beautiful seeing their creativity and love! We tried to do everything plastic free and free of waste, and it was 100% vegan. It was an adventure planning all of these elements, especially being in the middle of Brazil where the meat culture is still very strong, it was hard finding the resources. But I wouldn't do it any differently — our wedding needed to represent our way of living. I think it’s important to show to people how it is possible to do a beautiful event without hurting animals, and without causing too much waste or negative impact. A: Becoming vegan and an activist. Recycling. Being conscious about what I buy — I just work to buy from companies that are fair trade, sustainable, vegan or eco-friendly. I try to make the least impact possible being plastic free and striving for zero-waste living. Q: We all have the occasional tough day…What’s the one thing that will instantly cheer you up on a hard day? A: Read good news. I follow some social media profiles that just share great news around the world, I love to read about people doing good things for the world and for each other, working on projects and politics to build a new world. And I love to watch cute animals and kid videos (who doesn’t!?) these definitely are a few things that cheer up my day! A: I would love if people would ask me more about why I decided to become vegan, instead of just look at me with judgmental eyes. The answer is: I’m vegan for the animals, for the environmental, and because I truly care about our impact on earth. Q: What does being a “Social Icon” mean to you? A: It means I can use my voice and image to influence people to be better human beings. It means I can share information in order to spread awareness and consciousness. It means I can inspire people to change the world for the better.